Lung cancer. 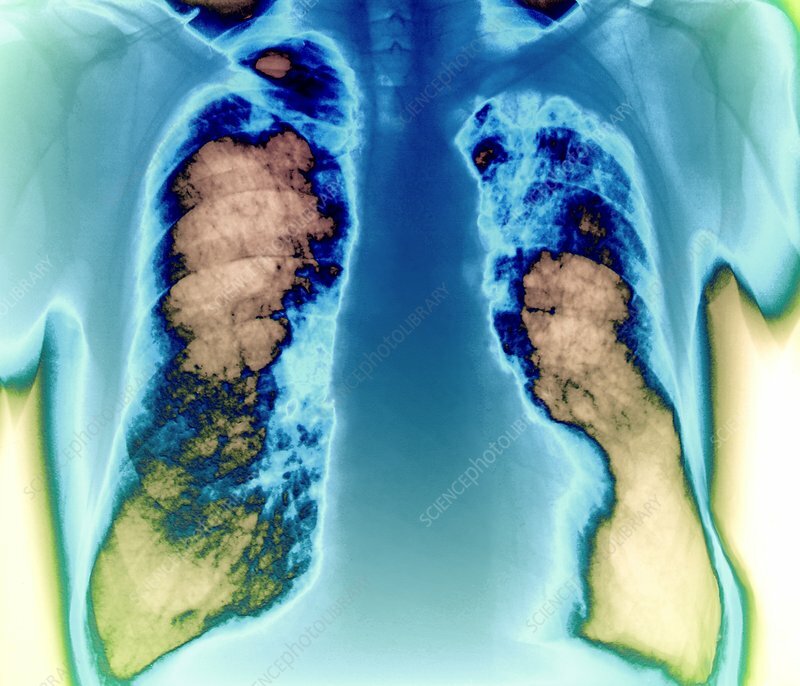 Coloured chest X-ray of a male patient showing evidence of a mesothelioma lung cancer. This is a malignant cancer of the pleura, the membrane that lines the lungs and chest cavity. It is usually associated with exposure to asbestos. The cancer can cause a cough and chest pain, but in many cases it causes no symptoms. This makes it difficult to treat, as it has often spread over an extensive area before it is diagnosed. In such cases, the prognosis is poor. If it is diagnosed before it has grown very large, surgical removal may effect a cure.